BMW will sell cars over the Web for the first time as the world’s largest maker of luxury vehicles seeks an inexpensive way to reach more buyers with its electric models. A direct online sales platform for BMW’s new I sub-brand will be unique in an industry where, outside of small-scale experiments, competitors leave Internet orders for cars to dealers. BMW’s range of strategies for the models, including a roaming sales force backing a limited showroom network, reflects the challenge carmakers face as low-emission vehicles trickle into dealerships to sluggish demand after years of development. BMW is opening the I models’ first showroom today in London, although only prototype cars and informational materials will be displayed at first because the vehicles themselves won’t go on sale before next year. 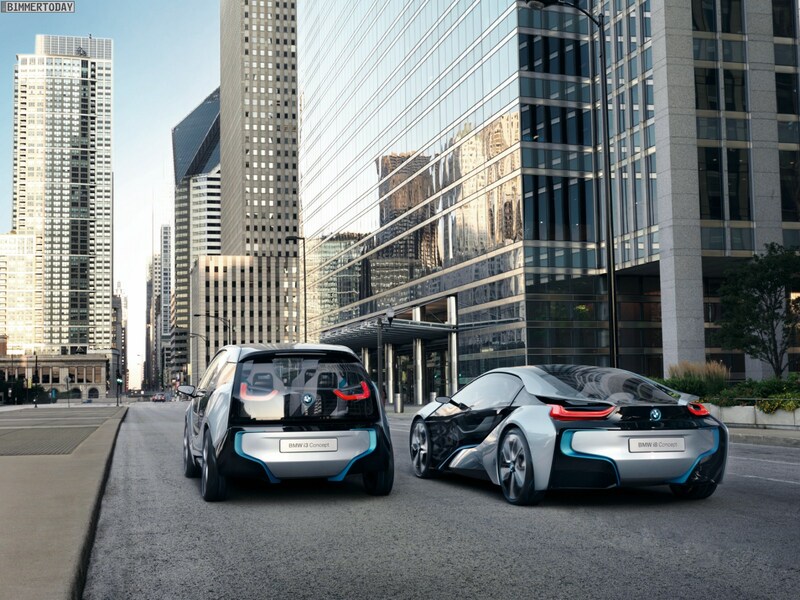 BMW is spending about $3 billion developing the i3 battery-powered city car and i8 plug-in hybrid supercar, according to an estimate by Frost & Sullivan. Industry sales of electric cars last year, at 43,000 vehicles, were only 57 percent of the 75,000 deliveries predicted by Sarwant Singh, a London-based automotive partner at the consulting company. 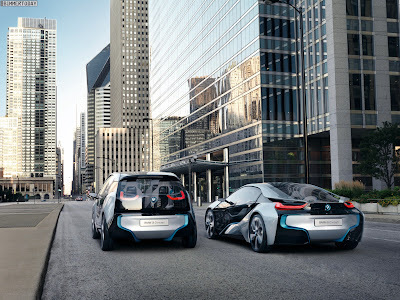 The four-seat i3, scheduled to reach the market in late 2013, will be priced at about 40,000 euros ($48,500), Bratzel estimated. That compares with a 23,850-euro starting price in Germany for the 1-Series, the cheapest BMW-brand car. The i8, targeted for sale in 2014, will cost more than 100,000 euros, according to Ian Robertson, BMW’s sales chief. Details of how I-model buyers, the website and dealerships will interact are “still in the planning process,” and will be communicated later, Linda Croissant, a spokeswoman at Munich- based BMW, said by phone yesterday. Sales will be focused on the world’s major urban areas, she said. The Internet platform may take a while to catch on because “many customers will still want to go somewhere to look at and drive the vehicle before buying,” said Ian Fletcher, an auto analyst in London at research company IHS Global Insight. “With new technologies, there may be even greater skepticism about buying a car over the Internet as in many cases you’ll have to win the confidence of customers that it works and there is support for them,” Fletcher said in an e-mail. Still, BMW sees standard dealerships as “the backbone of what we are doing in the interface with the customer” for the I models, Robertson said in June at a press presentation at the sub-brand’s Park Lane showroom in London. Outlets will be restricted to dealers with high BMW-brand sales volume who have floor space as well as capacity to work with I models’ powering technology and carbon-fiber body material, Robertson said. The carmaker has chosen 45 of its approximately 200 dealers in Germany to sell the i3 and i8, a ratio that will probably be similar elsewhere, he said. Dealers will be designated as agents for the I models, which provides an “advantage” by keeping the vehicles on the carmaker’s books, the association of BMW distributors in Germany said in an e-mail. The approach contrasts with a decision by Daimler AG (DAI)’s Mercedes-Benz Cars division to convert existing models, such as the van-like B-Class or two-seat Smart, to electric power. To make its electric vehicles more attractive, Stuttgart, Germany-based Daimler’s Smart brand offers to lease the battery separately from the car. The automaker has a target of selling more than 10,000 of the models next year, with a starting price of 18,910 euros plus monthly battery rental at 65 euros. The I models’ new technology poses risks for BMW, “but they have no choice if they want to keep their premium and image as an innovation leader,” Ellinghorst said. The i3 and i8 will probably be among BMW’s lowest-selling models through 2024, alongside the existing Z4 roadster, according to IHS estimates. In 2014, the first full year of production, BMW will probably deliver 31,380 i3s, compared with 564,760 of the best-selling 3-Series model and 18,101 Z4s, a study by the research company shows. BMW’s stance is that the models should produce earnings from the start, sales chief Robertson said.